I would like to ask you about the rhythmic patterns of … words [such as irritating]. If Spanish speakers are asked to place the primary stress in the correct place…, they will invariably make the last syllable "pulse[d]". If they are asked to pulse lightly on any vowel between the primary stress and the last syllable, they will turn this light pulse into the primary stress of the word, i.e. they will say either IRritaTING or irriTAting, but not IRriTAting). 1) Do "worshiper" and "worshipful" resemble "hamburger", or perhaps "educate"? 2) Which are the strongest (potentially "pulsed") "sit" or "me" vowels in the words "qualificative", "prejudices", "accompanying"? 3) What is the rhythmic pattern of the word "participle" when this shows initial primary stress? This question relates to possible posttonic secondary stress, which is bound up with the important distinction in English between strong and weak vowels. To recap, the weak vowels in English are i, u, and ə. The strong vowels are all the rest. (Exceptionally, ɪ and ʊ can be either strong or weak. Under ə we include all the syllabic consonants, including AmE ɚ.) In irritating ˈɪrɪteɪtɪŋ the vowels are strong, weak, strong, weak respectively. Because of this, native speakers tend to perceive the penultimate syllable, teɪt, as being more strongly ‘stressed’ than the final syllable ɪŋ. But what they want to call ‘stress’ is arguably no more than a way of saying that the vowel is one of the strong ones. Actual rhythmic beats following the main word stress accent are all pretty optional, which is why the British tradition is not to show any secondary stress in words like this: ˈɪrɪteɪtɪŋ, not *ˈɪrɪˌteɪtɪŋ. The alternative tradition, usually followed in the States and (for example) Japan, is to recognize a secondary stress on the penultimate, írritàting. (1) Introspectively, worship(p)er (ˈwɜːʃɪpə, strong-weak-weak) is rhythmically different from hamburger (ˈhæm(ˌ)bɜːɡə, strong-strong-weak). 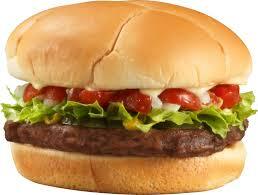 In hamburger the penultimate vowel is long; in worship(p)er it is short. Both are also different from educate (ˈedjukeɪt or ˈedʒəkeɪt, strong-weak-strong). The last vowel of worshipful can be pronounced strong or weak, so this one can go either way, like worshipper or like educate. (2) Qualificative is a pretty rare word. I would pronounce it ˈkwɒlɪfɪkətɪv (strong-weak-weak-weak-weak). Such a long string of weak vowels is unusual, and some people avoid it by saying ˈkwɒlɪfɪkeɪtɪv (strong-weak-weak-strong-weak). Prejudices is ˈpredʒudɪsɪz (s-w-w-w). Accompanying is əˈkʌmpəniɪŋ (w-s-w-w-w). (3) As you are aware, people are divided about participle. I give it initial stress and say ˈpɑːt(ɪ)sɪpl (s-(w-)w-w). However… despite all this apparent hair-splitting, my advice to Spanish-speaking EFL learners is not to attempt any degree of stress after the main stress in a word. Ignore all posttonic stresses. This applies even in compounds like washing machine ˈwɒʃɪŋ məˌʃiːn. As Emilio is aware, attempts at a conscious secondary stress are likely to lead only to mispronunciations of the type ˌwɒʃɪŋ məˈʃiːn. As a US English speaker, I give ‘hamburger’ the same stress pattern as ‘worshiper’: s-w-w.
As a Canadian English speaker, I give “hamburger” s-w-w as well. However, the abbreviated form that my grandparents used, “hamburg”, seems to be s-s. In words like "irritating" (and many others) Italians usually think that the (primary) stress lies on the strong-vowelled, actually post-tonic, syllable: here, on [-teɪt-]: in other words, what they hear, or think they have heard, is usually */iri'teitiŋ/ *[ˌɪrɪˈteɪtɪŋ]. It is only when one has come to have a rather subtle and well trained ear that the truth reveals itself that ''irritating'' is actually /'iriteitiŋ/ [ˈɪrɪ(ˌ)teɪtɪŋ]. And in e.g. Hungarian words, where the stress always lies on the first syllable, but there are often long post-tonic vowels – as in ''Lukács'', ''Bartók'' –, Italians tend to believe that the long vowel is stressed. The point is (quite apart from the possible misinterpretation of the orthographic diacritic of ''-á-'' and ''-ó-'') that in Italian all long vowels are stressed. What Masone says about "irritating" applies also to Spanish speakers. Again, compare words like "grandfather", "finances", "programmer", "commented", which tend to be interpreted as grandFAther, fiNANces, proGRAMmer, comMENted. That's right. If I was told to put a strong stress on the first syllable of "house-keeping" (and if I didn't know this was an English word) my default stressing of it would be something like \HOUSEkeePING.